Though cold weather has its downsides, it also gives us an opportunity to expand our seasonal wardrobes. 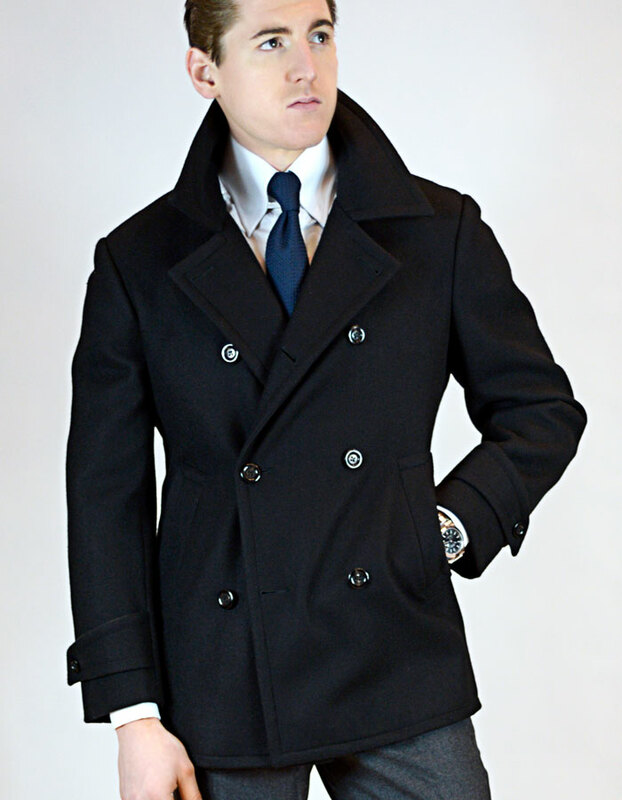 Fall and winter outerwear can provide as much style as warmth, and a perfect example of this is the custom navy peacoat. 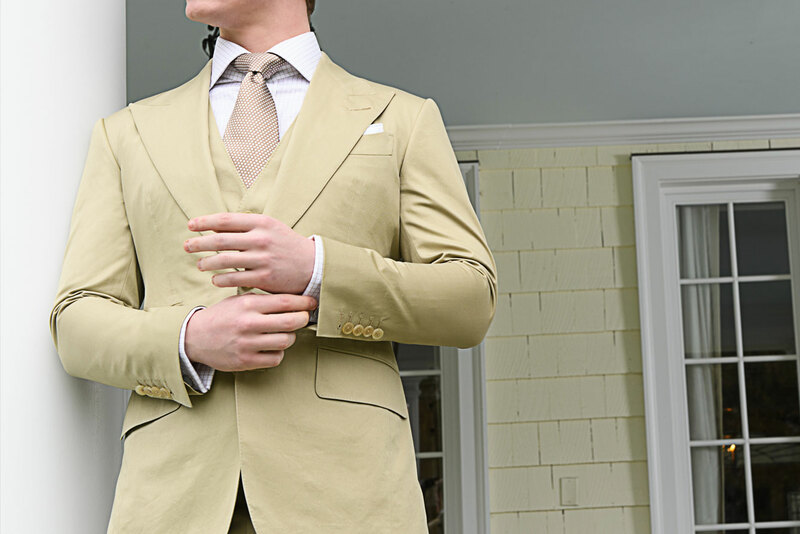 Originally designed for sailors in the 1800s, this form-fitting and functional design has remained a menswear staple ever since. 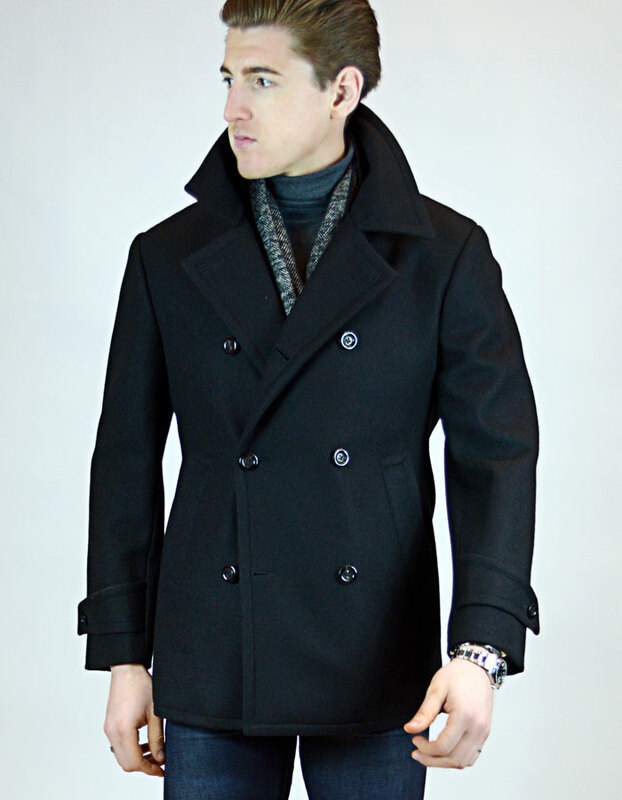 Credit for creating the peacoat goes to the Dutch, whose naval sailors needed a durable, warm coat that could stand up to the cold, wind and rain of the open seas. The British navy then popularized the jacket, which became the uniform for petty officers. (Some debate exists about whether the name comes from a Dutch word for a coarse wool jacket, or whether it’s an abbreviation of the British “petty officer’s coat.”) Later, the American navy adopted the style as well, with the U.S. version known as the “reefer” coat because the sailors who wore it, reefers, were the sailors who climbed ships’ rigging. The coats featured a slim silhouette to preserve body heat and keep out the wind, but they also flared at the hips to allow sailors to move about their vessels. They were double-breasted, had ulster collars that protected the wearers’ necks, and almost always had peak lapels and prominent, decorative buttons. 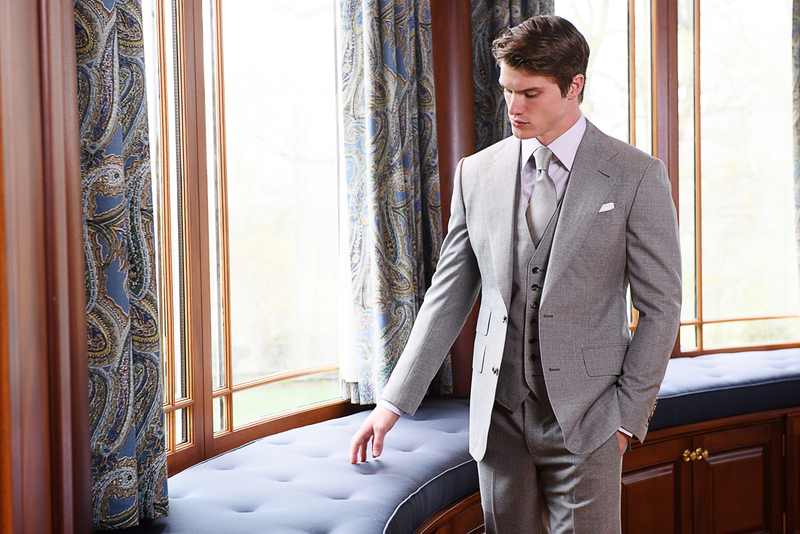 Melton wool (a wool and acrylic blend), usually navy in color, stands as the “traditional” peacoat, but over time cashmere and wool blends, as well as herringbones, became common. 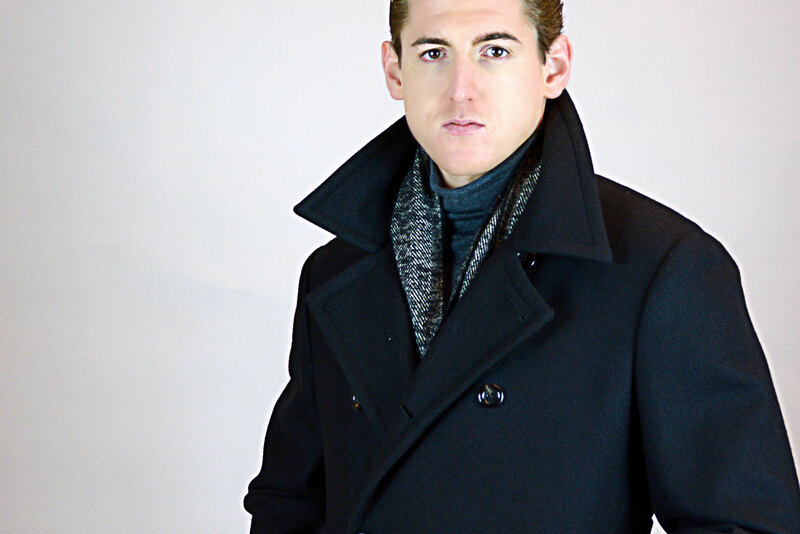 As with many other items of military dress, the peacoat quickly made the jump to civilian life. Worn by James Dean, Robert Redford, James Bond (Daniel Craig) and Kanye West, there is no question that the coat has not only survived the tides of fashion, but thrived. This classic look remains the standard coat for most men. Though relatively similar to its predecessors, today’s modern peacoat has an even more snug fit (because most wearers don’t work on ships anymore). 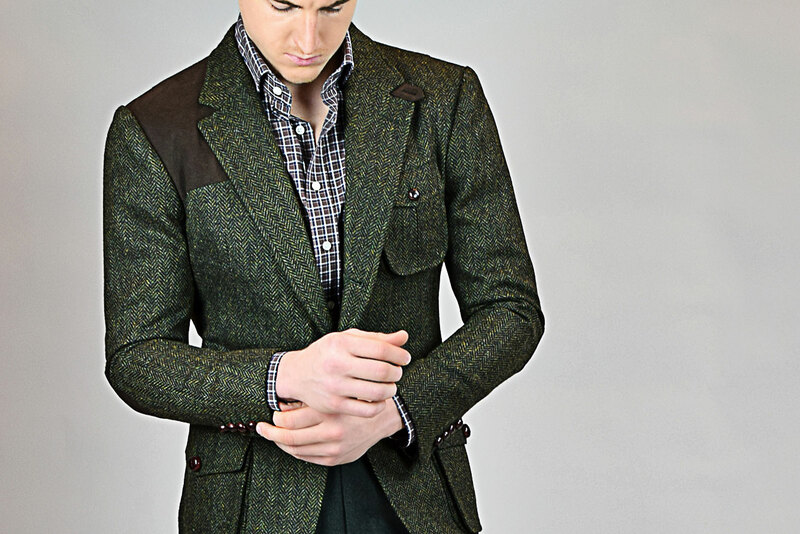 Also, some designers have experimented with non-traditional peacoat fabrics such as quilted nylon, twill and corduroy. Most, however, still feature a predominantly woolen construction. Wear your custom navy peacoat with a dress shirt, tie and flannel trousers for a clean, formal aesthetic, or take it a notch further and wear it over a double-breasted suit. 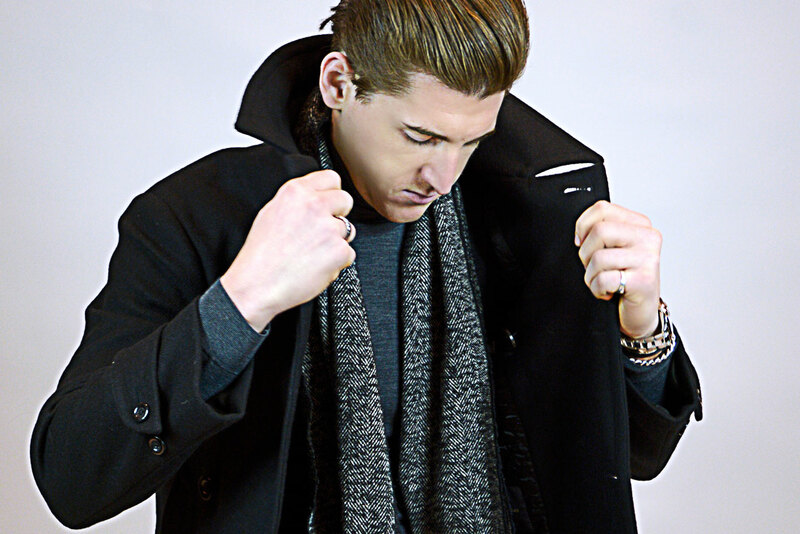 For a more casual look, pair the custom navy peacoat with dark denim, a sweater and a scarf.